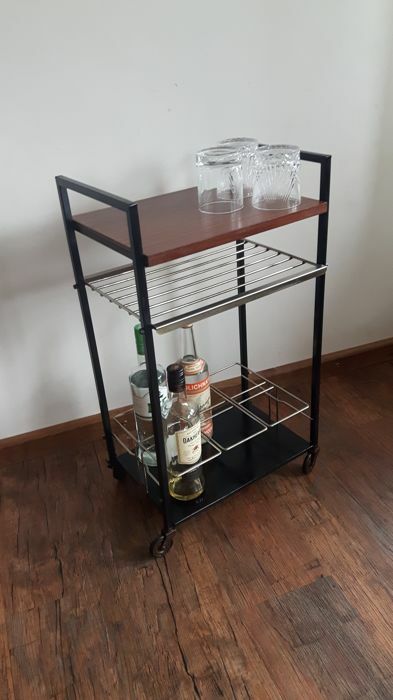 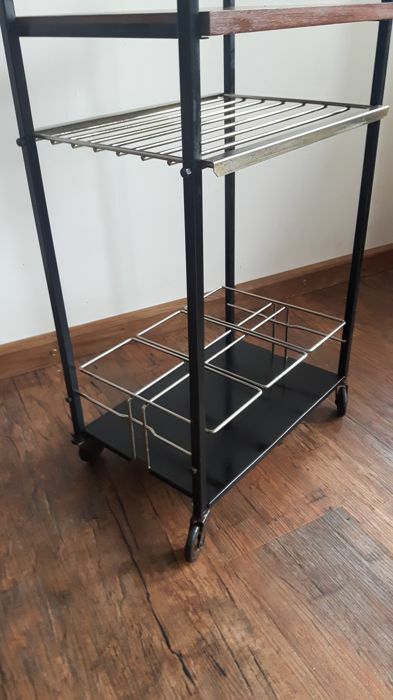 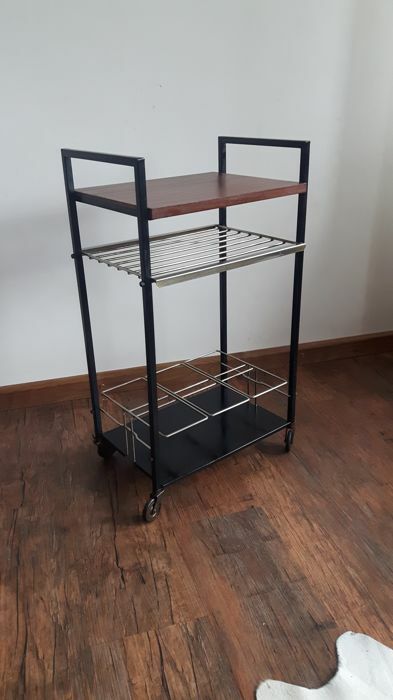 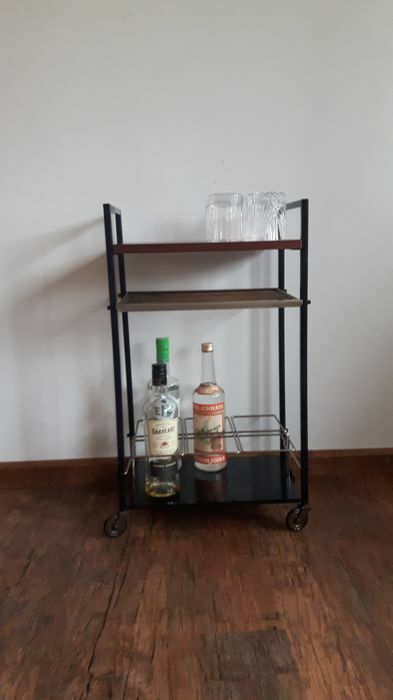 Beautiful original vintage serving trolley/ barcart. 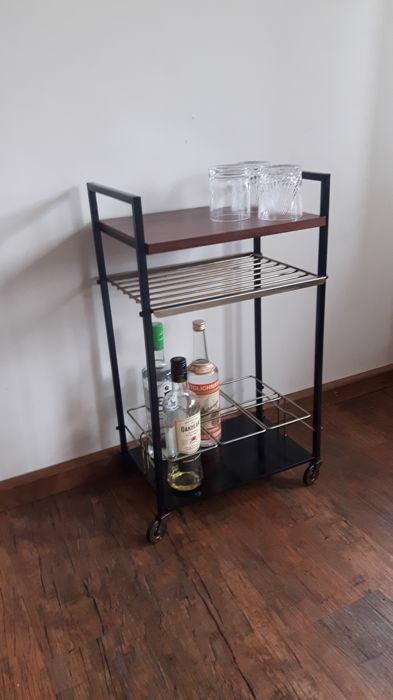 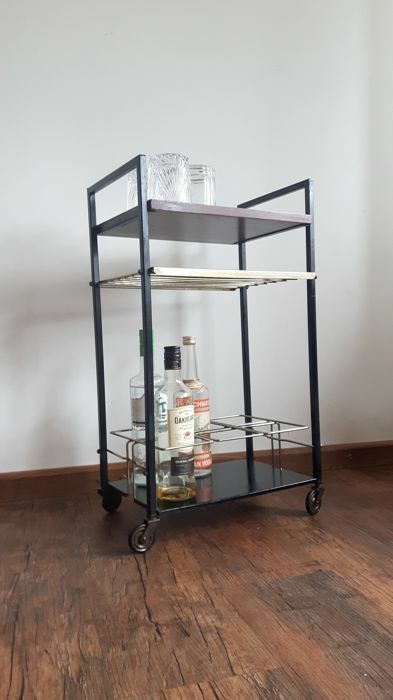 The size is of the barcart is compact and hase place for 6 bottles. 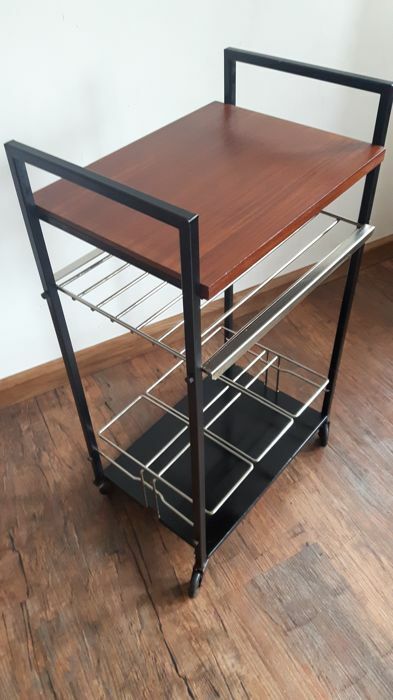 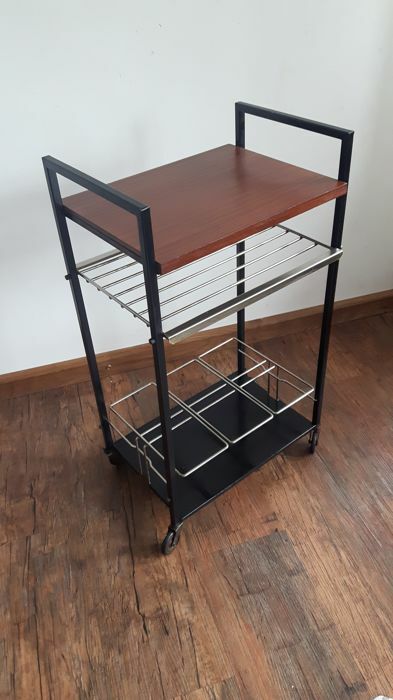 Material is teak on a metal base.